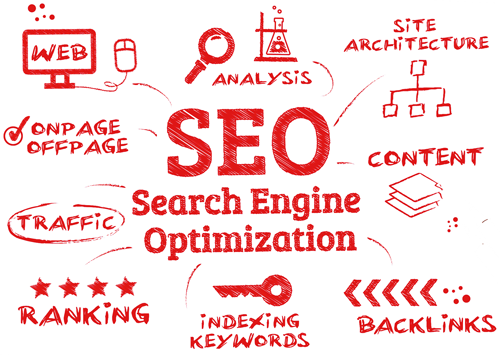 Search engine optimization, or SEO, is the term used to describe the strategies and tactics needed to have your important web pages rank high on the popular search engines. When a search term is entered into Google, Bing or Yahoo, the page of results that is returned is known as the search engine results page or SERP. Ranking high in the SERP's for your key search terms is an integral part of most modern marketing strategies because it leads to mores visitors and more sales. At Hwy52 Digital, our focus is on helping small-to-medium sized local businesses rank higher on the major search engines (Google, Bing, Yahoo) by providing affordable and effective SEO services. Since 2008, Hwy52 Digital has been helping local, small-to-medium sized businesses succeed by providing a range of cost-effective and results-oriented SEO services. Over that time we have built a reputation for being a professional, creative and reliable supplier with our customers in Oakville, Burlington, Milton, Halton Hills and throughout Ontario. To get started contact us today and speak with a specialist about a free SEO evaluation or to discuss pricing!